For regular updates on my research activities please see my personal website https://www.lauraempson.com. I am Director of the Cass Centre for Professional Service Firms and a Senior Research Fellow at Harvard Law School's Center on the Legal Profession. Understanding the dynamics of leadership in professional service firms. Szilvia's research focuses on corporate social responsibility (CSR), an emerging occupation, whose practitioners work in the intersection of business and society and address companies’ responsibilities or their social, environmental, and economic impact in the short, medium, and long term. Drawing on a qualitative study of CSR managers and CSR consultants in the UK, she investigates how these practitioners work together to construct legitimacy for their field and how they address conflicting tensions they face in their everyday work. Her study aims to advance our understanding of occupational legitimatizing strategies in contemporary professions, redefine the role of the 'client' in the occupations literature, and expand the knowledge on responses to dynamic tensions. Empson, L., Muzio, D., Broschak, J. and Hinings, B. (Eds. ), (2017). Oxford Handbook of Professional Service Firms (Paperback edition). Oxford: Oxford University Press. Empson, L. (2017). Leading Professionals Power, Politics, and Prima Donnas. Oxford University Press. ISBN 978-0-19-874478-8. Empson, L., Hinings, R., Muzio, D. and Broschak, J. (2015). The Oxford Handbook of Professional Service Firms. Oxford University Press, USA. ISBN 978-0-19-968239-3. Empson, L. (Ed. ), (2007). Managing the modern law firm: New challenges, new perspectives. Oxford: Oxford University Press. ISBN 978-0-19-929674-3. Empson, L. (2017). My liminal life: Perpetual journeys across the research-practice divide. In Bartunek, J. and McKenzie, J. (Eds. ), Academic practitioner research partnerships: Developments, complexities and opportunities Routledge. Ashley, L. and Empson, L. (2016). Explaining social exclusion and the ‘war for talent’ in the UK’s elite professional service firms. Diversity in Practice: Race, Gender, and Class in Legal and Professional Careers (pp. 114–138). ISBN 978-1-107-12365-6. Empson, L. and Langley, A. (2015). Leadership and Professionals: Multiple Manifestations of Influence in Professional Service Firms. In Empson, L., Muzio, D., Broschak, J. and Hinings, B. (Eds. ), Oxford Handbook of Professional Service Firms Oxford: Oxford University Press. Empson, L., Muzio, D., Broschak, J. and Hinings, B. (2015). Researching Professional Service Firms: An Introduction and Overview. In Empson, L., Muzio, D., Broschak, J. and Hinings, B. (Eds. ), Oxford Handbook of Professional Service Firms Oxford: Oxford University Press. Empson, L. (2015). Leadership, Power, and Politics in Law Firms. In Normand-Hochman, R. and Gardner, H. (Eds. ), Leadership for Lawyers (pp. 89–102). Globe Law and Business in association with the International Bar Association. ISBN 978-1-909416-78-9. Empson, L. (2014). My Affair with the “Other”: Identity Journeys across the Research-Practice Divide. In Bell, E. and Willmott, H. (Eds. ), Qualitative Research in Business and Management (4 volumes) Sage. ISBN 978-1-4462-8744-6. Empson, L. (2012). Fear of Exploitation and Fear of Contamination: Impediments to Knowledge Transfer in Mergers Between Professional Service Firms (2001 Reprint). In Avakian, S. and Clark, T. (Eds. ), Management Consulting Edward Elgar Publishing. ISBN 978-1-84720-910-8. Empson, L. (2012). Beyond dichotomies: A multi-stage model of governance in professional service firms. In Reihlen, M. and Werr, A. (Eds. ), Handbook of Research on Entrepreneurship in Professional Services Edward Elgar Publishing. ISBN 978-1-84844-626-7. Empson, L. (2008). Professional Service Firms. In Clegg, S. and Bailey, J.R. (Eds. ), International Encyclopedia of Organization Studies (pp. 1311–1315). Sage. ISBN 978-1-4129-1515-1. Empson, L. (2008). Professions. In Clegg, S. and Bailey, J.R. (Eds. ), International Encyclopedia of Organization Studies Sage. ISBN 978-1-4129-1515-1. Empson, L. (2007). Your partnership - Surviving and thriving in a changing world: the special nature of partnership. In Empson, L. (Ed. ), Managing the Modern Law Firm: New Challenges, New Perspectives (pp. 10–36). Oxford: Oxford University Press. ISBN 0-19-958964-X. Empson, L. (2007). Wrestling with the intangible: Creating value in knowledge-based mergers. In Angwin, D. (Ed. ), Images of mergers and acquisitions: A multidisciplinary perspective Blackwell. Empson, L. (2006). Professionals in partnership. In Craig, J. (Ed. ), Production Values: Futures of Professionalism Demos. Empson, L. and Chapman, C. (2006). Partnership versus corporation: implications of alternative forms of governance in professional service firms. In Greenwood, R. and Suddaby, R. (Eds. ), Professional Service Firms (Research in the Sociology of Organizations, Volume 24) (pp. 139–170). Emerald Group. ISBN 978-0-7623-1302-0. Empson, L. (2000). Lessons from professional service firms. In Dickson, T. (Ed. ), Mastering Strategy Financial Times/Pitman Publishing. Empson, L. (2000). The challenge of managing knowledge. In Dickson, T. (Ed. ), Mastering Strategy Financial Times/Pitman Publishing. Empson, L. (2000). Mergers between professional service firms: Exploring an undirected process of integration. Advances in Mergers and Acquisitions (Volume 1) (pp. 205–237). Emerald. ISBN 978-0-7623-0683-1. Gustafsson, S. and Empson, L. (2018). Climbing invisible walls: The construction of career (im)mobility in liminal professional roles. Empson, L. (2012). Complexity leadership and professional service firms: When everyone and no one is a leader. European Group for Organization Studies Aalto University & Hanken School of Economics, Helsinki, Finland. Ashley, L. and Empson, L. (2012). Convenient Fiction or Inconvenient Truth? Making sense of the �Business Case� for gender diversity in the UK�s leading accountancy firms. European Group for Organization Studies Aalto University & Hanken School of Economics, Helsinki, Finland. Empson, L., Cleaver, I. and Allen, J. (2011). Management professionals and managing partners: Institutional entrepreneurship in professional partnerships. European Group for Organization Studies Gothenburg University, Sweden. Empson, L. (2011). Navigating ambiguity: Collective leadership processes in professional service firms. Academy of Management San Antonio, Texas. Ashley, L.E. and Empson, L. (2011). Differentiation and discrimination: Understanding social class and social exclusion in the UK's leading law firms. EGOS - Reassembling Organizations Gothenburg, Sweden. Empson, L. (2010). Evolution and revolution in the governance of law firms. Law firm evolution: Brave new world or business as usual University of Georgetown: Washington. Empson, L. (2010). Navigating ambiguity: Collective leadership processes in professional service firms. Academy of Management Montreal. Empson, L. (2010). Navigating ambiguity: Collective leadership processes in professional service firms. European Group for Organization Studies Conference Lisbon. Empson, L. (2009). Beyond dichotomies: A multi-stage model of governance in professional service firms. European Group for Organization Studies Conference Barcelona. Empson, L. (2009). Changing power dynamics in professional service firms. Academy of Management Chicago. Empson, L. (2009). Partnership: Meaning and metaphor. Future of large law firms Harvard Law School. Empson, L., Broschack, J. and Leblebici, H. (2008). Beyond received wisdom: An integrative perspective on organising professionals. European Group for Organization Studies Conference Amsterdam. Empson, L. (2008). Partnership matters. Symposium on the legal profession Georgetown University. Empson, L., Broschak, J. and Leblebici, H. (2007). Beyond received wisdom: Professionals and professional service firms. Academy of Management (OMT and BPS Divisions) Philadelphia. Empson, L. (2007). My affair with the �other�: The interpenetration of research and practice. Organization Studies Summer Workshop Crete. Empson, L. (2006). Professionals in partnership: Continuity and change. Professions and the knowledge-based economy conference Lancaster University. Empson, L. (2006). Surviving and thriving in a changing world: The special nature of partnership. European Group for Organization Studies Conference Bergen. Alvesson, M. and Empson, L. (2006). The construction of organizational identity: Comparative case studies of consulting firms. Academy of Management Conference (OMT Division) Atlanta. Empson, L. and Chapman, C. (2005). Partnership versus corporation: Implications of alternative forms of governance for managerial authority and organizational priorities in professional service firms. Academy of Management Conference (OMT Division) Honolulu. Chapman, C. and Empson, L. (2005). Performance measures, pay, and accountability: A comparison of two professional service firms. European Accounting Association Conference Gothenberg. EMPSON, L.A.U.R.A. (2004). ORGANIZATIONAL IDENTITY CHANGE: MANAGERIAL REGULATION AND MEMBER IDENTIFICATION IN AN ACCOUNTING FIRM ACQUISITION. Empson, L. (2003). Changing organizational identity: Identity regulation and re-identification in an accounting firm acquisition. European Group for Organization Studies Conference Copenhagen. Empson, L. and Chapman, C. (2003). Consequences of changing forms of governance for the management of professional service firms: Emerging themes. Cllifford Chance Conference on Professional Service Firms University of Oxford. Empson, L. and Chapman, C. (2002). Implications of alternative forms of governance in Professional Service Firms. Professional Service Firms Conference University of Alberta. Empson, L. (2002). Organizational identity in accounting firms: Continuity and change post acquisition. EURAM Conference Stockholm. Greenwood, R. and Empson, L. (2002). The professional partnership: Relic or exemplary form of governance. European Group for Organization Studies Conference Barcelona. Empson, L. (2000). The triumph of commercialism: Mergers between accounting firms and the transformation of the professional archetype. Academy of Management Conference (OMT Division) Toronto. Empson, L. (1999). Fear of association and fear of contamination: Exploring impediments to knowledge transfer in mergers between professional service firms. Professional Service Firms Conference University of Alberta. Empson, L. (1999). Phoney wars and high school dances: The evolving process of integration in mergers between professional service firms. Academy of Management Conference (OMT Division) Chicago. Empson, L. (1999). The twin fears: Knowledge transfer in mergers between professional service firms. Professional Service Firms in Transition Conference London School of Economics. Empson, L. (1997). Impediments to knowledge transfer in mergers between knowledge-based organizations. Academy of Management Conference (BPS Division) Boston. Empson, L. and Morris, T. (1997). When knowledge is power: Knowledge transfer and mergers between professional service firms. Modes of Organizing Conference University of Warwick. Empson, L. (1996). Managing successful knowledge-based mergers and acquisitions: Overcoming impediments to integration. British Academy of Management Conference Birmingham. Empson, L. (1996). Merging professional service firms: How the distinctive organizational characteristics influence the process of value creation. Strategic Management Society Conference Arizona. Empson, L. (2019). How to lead your fellow rainmakers: Collectively, dynamically- and very carefully. Harvard Business Review, March-April, pp. 114–123. Lupu, I., Spence, C. and Empson, L. (2018). When the past comes back to haunt you: The enduring influence of upbringing on the work–family decisions of professional parents. Human Relations, 71(2), pp. 155–181. doi:10.1177/0018726717708247 . Costas, J., Ekman, S., Empson, L., Kärreman, D. and Muhr, S.L. (2018). Working time regimes: A panel discussion on continuing problems. German Journal of Human Resource Management, 32(3-4), pp. 271–282. doi:10.1177/2397002218791389 . Empson, L. (2017). Elite interviewing in professional organizations. Journal of Professions and Organization. doi:10.1093/jpo/jox010 . Ashley, L. and Empson, L. (2016). Convenient fictions and inconvenient truths: Dilemmas of diversity at three leading accountancy firms. Critical Perspectives on Accounting, 35, pp. 76–87. doi:10.1016/j.cpa.2015.05.002 . Ashley, L. and Empson, L. (2016). Understanding social exclusion in elite professional service firms: Field level dynamics and the 'professional project'. Work, Employment & Society, 31(2), pp. 211–229. doi:10.1177/0950017015621480 . Lupu, I. and Empson, L. (2015). Illusio and overwork: playing the game in the accounting field. Accounting, Auditing and Accountability Journal, 28(8), pp. 1310–1340. doi:10.1108/AAAJ-02-2015-1984 . Empson, L., Cleaver, I. and Allen, J. (2013). Managing partners and management professionals: Institutional work dyads in professional partnerships. Journal of Management Studies, 50(5), pp. 808–844. doi:10.1111/joms.12025 . Empson, L. (2013). My Affair With the "Other": Identity Journeys Across the Research-Practice Divide. Journal of Management Inquiry, 22(2), pp. 229–248. doi:10.1177/1056492612446068 . Ashley, L. and Empson, L. (2013). Differentiation and discrimination: Understanding social class and social exclusion in leading law firms. Human Relations, 66(2), pp. 219–244. doi:10.1177/0018726712455833 . Empson, , L, and None, (2011). gg. .
Alvesson, M. and Empson, L. (2008). The construction of organizational identity: Comparative case studies of consulting firms. Scandinavian Journal of Management, 24(1), pp. 1–16. doi:10.1016/j.scaman.2007.10.001 . Empson, L. (2004). Organizational identity change: managerial regulation and member identification in an accounting firm acquisition. Accounting, Organizations and Society, 29(8), pp. 759–781. doi:10.1016/j.aos.2004.04.002 . Greenwood, R. and Empson, L. (2003). The professional partnership: Relic or exemplary form of governance? Organization Studies, 24(6), pp. 909–933. Empson, L. (2001). Fear of exploitation and fear of contamination: Impediments to knowledge transfer in mergers between professional service firms. Human Relations: Knowledge management in professional service firms (Special Issue), 54(7), pp. 839–862. Empson, L. (2001). Knowledge management in professional service firms. Human Relations: Knowledge management in professional service firms (Special Issue), 54(7), pp. 811–818. Empson, L. (2000). Merging Professional Service Firms. Business Strategy Review, 11(2), pp. 39–46. doi:10.1111/1467-8616.00136 . Morris, T. and Empson, L. (1998). Organization and expertise: An exploration of knowledge bases and the management of accounting and consulting firms. Accounting, Organizations and Society, 23(5-6), pp. 609–624. Empson, L. and Alvehus, J. Collective leadership dynamics among professional peers: Co-constructing an unstable equilibrium. Organization Studies. Academy of Management Review, Referee, 2015 – present. Journal of Professions and Organizations, Member of Editorial Board, 2013 – present. 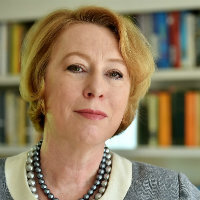 ESRC Peer Review College (Academic Member), Member of Editorial Board, 2012 – present. Journal of Management Studies, Member of Editorial Board, 2008 – present. Organization Studies, Member of Editorial Board, 2006 – present. Academy of Management Journal, Referee, 2006 – present. Accounting, Organizations, and Society, Referee, 2006 – present. British Journal of Management, Referee, 2006 – present. Harvard Business School Press, Referee, 2006 – present. Human Relations, Referee, 2006 – present. Journal of Organizational Behaviour, Referee, 2006 – present. Organisation, Referee, 2006 – present. Organizational Science, Referee, 2006 – present. Oxford University Press, Referee, 2006 – present. Sage, Referee, 2006 – present. Journal of Management Inquiry, Member of Editorial Board, 2003 – 2007. Leadership, Power, and Professionals. (Conference) London (2016). Chair. Academy of Management. (Conference) Los Angeles (2016). Harvard Law School Seminar Series. (Seminar) Cambridge MA (2016). Invited speaker. Boston College Seminar Series. (Seminar) Boston (2016). Invited speaker. Newcastle Business School Seminar. (Seminar) (2015). HEC Montreal Seminar Series. (Seminar) Montreal (2015). Invited speaker. Pluralistic perspectives of leadership and leadership development. (Conference) Henley Business School (2015). Academy of Management Meeting. (Conference) Vancouver (2015). McGill University Seminar Series. (Seminar) Montreal (2014). Invited speaker. Invited Academic Speaker Series. (Seminar) University of Lancaster (2014). Invited speaker. Researching Professionals, Their Work, and Organizations Paper Development Masterclass for Early Career Researchers/Doctoral Students. (Workshop) Newcastle University (2014). Invited speaker. Profession Fest. (Conference) University of Edinburgh (2014). Invited speaker. Improving Political Leadership through Cross-Disciplinary Research. (Conference) London, UK (2014). Invited speaker. CRESC Conference 2014. (Conference) Manchester (2014). Researching Professionals, Their Work, and Organizations: Paper Developement Masterclass for Early Career Researchers. (Conference) University of Newcastle Business School (2014). Chair. Leading autonomous followers. (Conference) Cass Business School (2014). Chair. Invited Academic Speaker Series. (Seminar) Stockholm School of Economics (2013). Invited speaker. Invited Academic Speaker Series. (Seminar) HEC Montreal (2013). Invited speaker. Invited Academic Speaker Series. (Public lecture) University of Lund, Sweden (2013). Invited speaker. European Group for Organization Studies. (Conference) Montreal (2013). American Bar Foundation "Pursuing Diverse Talent in Legal and Professional Services". (Conference) Chicago (2013). Academy of Mangement. (Conference) Orlando (2013). Academy of Management. (Conference) Orlando (2013). Researching Professionals, Their Work and Organizations - Paper Developement Masterclass for Early Career Researchers. (Conference) Cass Business School (2013). Chair. Academy of Management Symposium - Professional service firms: Key debates and potential contributions. (Conference) Orlando (2013). Chair. Who’s in charge? Understanding leadership dynamics in professional service firms. (Conference) Cass Business School (2013). Chair. Oxford Handbook of Professional Service Firms Colloquium. (Conference) Cass (2013). Chair. Invited Academic Speaker Series. (Seminar) HEC Montreal (2012). Invited speaker. Invited Academic Speaker Series. (Seminar) Stockholm School of Economics (2012). Invited speaker. Invited Academic Speaker Series. (Seminar) University of Lund, Sweden (2012). European Group for Organization Studies. (Conference) Aalto University & Hanken School of Economics, Helsinki, Finland (2012). Academy of Management. (Conference) Boston (2012). Academy of Management Symposium: Leadership in the Plural: Insights from Professional Organizations. (Conference) Boston (2012). Chair. Leading Professionals - Academic Conference & Doctoral Masterclass. (Conference) Cass Business School (2012). Chair. European Group for Organization Studies. (Conference) Gothenburg University, Sweden (2011). Academy of Management. (Conference) San Antonio, Texas (2011). Academy of Management Symposium - Leadership in the Plural: Forms, Practices and Dynamics. (Conference) San Antonio, Texas (2011). Chair. Law firm evolution: Brave new world or business as usual, University of Georgetown. (Conference) University of Georgetown: Washington (2010). Globalisation and the Changing Role of Professional Services, University of York. (Conference) University of York (2010). Invited speaker. European Group for Organization Studies Conference. (Conference) Lisbon (2010). Invited speaker. Challenge of Change in Professional Service Firms. (Conference) Cass (2010). Chair. Future of large law firms, Harvard Law School. (Seminar) Harvard Law School (2009). Invited speaker. European Group for Organization Studies Conference. (Conference) Barcelona (2009). Invited speaker. Academy of Management. (Conference) Chicago (2009). Identity and Contested Concepts of Professionalism. (Conference) Cass (2009). Chair. Symposium on the legal profession. (Conference) Georgetown University (2008). Invited speaker. European Group for Organization Studies Conference. (Conference) Amsterdam (2008). Organization Studies Summer Workshop. (Conference) Crete (2007). Academy of Management (OMT and BPS Divisions). (Conference) Philadelphia (2007). Clifford Chance Conference on Professional Service Firms, co-organised with University of Illinois (Urbana-Champaign). (Conference) Chicago (2007). Chair. Professions and the knowledge-based economy conference. (Conference) Lancaster University (2006). Invited speaker. European Group for Organization Studies Conference. (Conference) Bergen (2006). Academy of Management Conference (OMT Division). (Conference) Atlanta (2006). Clifford Chance Conference on Professional Service Firms, co-organised with IESE Business School, University of Navarra. (Conference) Barcelona (2006). Chair. European Accounting Association Conference. (Conference) Gothenberg (2005). Academy of Management Conference (OMT Division). (Conference) Honolulu (2005). Clifford Chance Conference on Professional Service Firms. (Conference) Saïd Business School, University of Oxford (2005). Chair. Academy of Management Conference (OMT Division). (Conference) New Orleans (2004). European Group for Organization Studies Conference. (Conference) Copenhagen (2003). Cllifford Chance Conference on Professional Service Firms. (Conference) University of Oxford (2003). Professional Development Workshop on Professional Service Firms, Academy of Management Conference (OMT Division). (Conference) Seattle (2003). Chair. Clifford Chance Conference on Professional Service Firms. (Conference) Saïd Business School, University of Oxford (2003). Chair. European Group for Organization Studies Conference. (Conference) Barcelona (2002). EURAM Conference. (Conference) Stockholm (2002). Oxford Conference on Professional Service Firms. (Conference) Christ Church College, University of Oxford (2001). Chair. Academy of Management Conference (OMT Division). (Conference) Toronto (2000). Symposium: Professional Service Firms: Variation and Transformation, Academy of Management Conference (OMT Division). (Conference) Toronto (2000). Chair. Oxford Workshop on Professional Service Firms. (Conference) St Anne’s College, University of Oxford (2000). Chair. Professional Service Firms in Transition Conference. (Conference) London School of Economics (1999). Professional Service Firms Conference. (Conference) University of Alberta (1999). Academy of Management Conference (OMT Division). (Conference) Chicago (1999). Modes of Organizing Conference. (Conference) University of Warwick (1997). Academy of Management Conference (BPS Division). (Conference) Boston (1997). Strategic Management Society Conference. (Conference) Arizona (1996). British Academy of Management Conference. (Conference) Birmingham (1996). Cass Talks episode 184 - Professor Laura Empson on power and politics in professional service firms. (2014) MoneyScience. The Future of Law: Leadership dynamics. (2014) The Global Legal Post. Does HMRC's notion of significant influence match the reality within law firms? (2013) Blogs - Managing Partner. Norton Rose Martocracy. (2013) The Lawyer (magazine). Who needs democracy in law firms? (2013) The Lawyer (magazine). swiss banks ditch 200 years of history. (2013) The Financial Times (newspaper). las profesiones en que solo pueden tradajar los hijos de. (2013) El Confidential. Posh makes sense! (2013) PQ magazine (magazine). Its not what you know, its how you look to the clients. (2012) The Times (newspaper). Leadership in professional organsisations. (2012) www.goarticles.com (website). Historic bank that shows us how things should be done. (2011) www.thisislondon.co.uk (website). Consultants offer £60bn value for money, says study. (2010) Financial Times (newspaper). All change? (2009) Financial Times (newspaper). Learning to lead. (2009) Legal Week (magazine). A model of action or agreement. (2009) www.ft.com (website). Will we all make the same mistakes again? (2009) Times (newspaper). Angelic choirs. (2009) Times (newspaper). Facing the pain of falling down a tier. (2008) Times (newspaper). Facing the pain. (2008) Times (newspaper). Facing the pain. (2008) www.timesonline.co.uk (website). Allen & Overy display piratical tendencies. (2008) www.silobreaker.com (website). Playing to type. (2008) www.lawgazette.co.uk (website). Mind the Plank. (2008) Times (newspaper). Finely tuned conventional model that stands in way of change. (2007) Financial Times (newspaper). Private practice: Management category. (2007) Financial Times (newspaper). Managing the Modern Law Firm: New Challenges, New Perspectives. (2007) The Houston Lawyer Magazine (magazine).